The D.C. bill would restrict short-term rentals to a property owner's primary residence and limit rentals to 90 days a year. 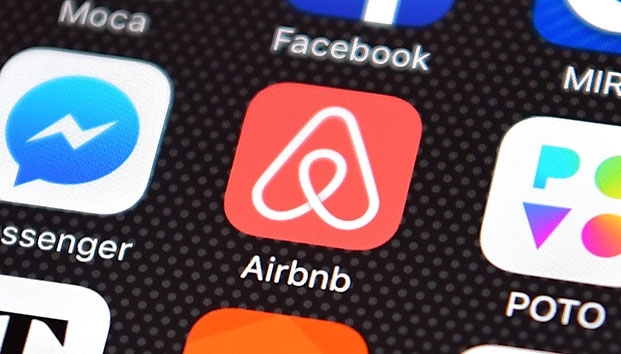 WASHINGTON — After nearly two years of consideration, the D.C. Council approved a short-term rental bill Tuesday to regulate home-sharing services such as Airbnb. The bill would restrict short-term rentals to a property owner’s primary residence and limit rentals to 90 days a year when the property owner is away or not living at the residence. The bill passed unanimously, and it will be up to D.C. Mayor Muriel Bowser whether to sign it into law. Council Chairman Phil Mendelson said limiting short-term rentals in the District is the right thing to do. “We looked at other jurisdictions — Fairfax County, 90 days; Arlington County, 90 days; big cities New York, San Francisco, I believe Boston, 90 days,” Mendelson said. Ward 5 Council member Kenyan McDuffie worked to ensure that home-sharing would be limited to primary residences, so that commercial property investors would be shut out of buying homes or apartments to operate as short-term rentals. Short-term rental services are blasting the bill. “The D.C. Council’s reckless vote today is the latest example of the misleading tactics used to pass fiscally irresponsible home-sharing policy,” said Airbnb spokeswoman Crystal Davis in a written statement. Davis said the bill would deprive D.C. residents of $64 million in supplemental income each year. “The proposal passed today is anything but fair, and will harm thousands of local residents and small businesses as well as countless families looking to visit our nation’s capital,” said Philip Minardi, a spokesman for the home-sharing service HomeAway, arguing that the legislation would limit the number of short-term rentals available to tourists. But the bill’s supporters say it will help ensure that the city’s affordable housing stock is not gobbled up by investors looking to make a buck in the home-sharing market. “Chairman Mendelson and Council member McDuffie should be commended for putting forward a common-sense ordinance that protects true home-sharing, while cracking down on commercial investors buying up residential homes to rent on Airbnb,” said Graylin Presbury, president of the D.C. Federation of Civic Associations. The council approved an amendment to the bill that would lift the 90-day rental limit on homes owned by members of the military who are facing lengthy deployments and members of the diplomatic corps who are sent on extended work assignments away from home.